Turn N With Ease making a smooth run to earn 2018 JB Futurity Champion Title - Owner Sonda Blair. Turn N With Ease, aka Sleepy, has been a colt that I could always feel had it, however this fall he started really coming into his own. 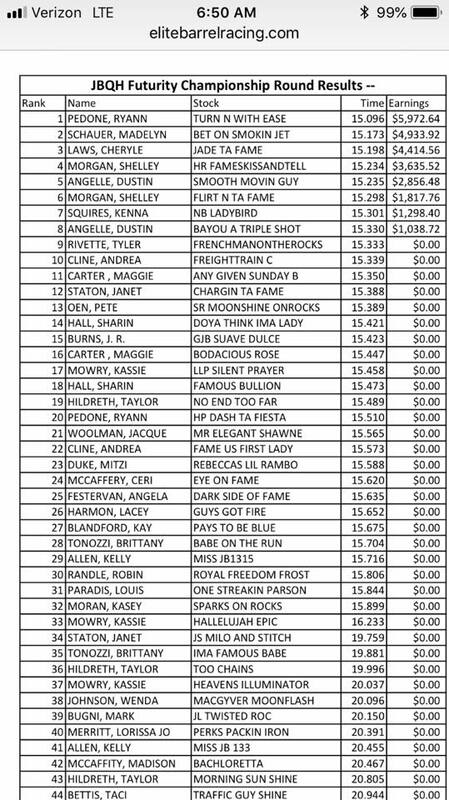 Thank you Sondra Jefferis Blair for purchasing him from my breeding program, being patient all year, and always believing in me along the way. I was so happy that you were there to experience your equine athlete’s win. Turn N With Ease (“Sleepy”), owned by Sondra Blair. 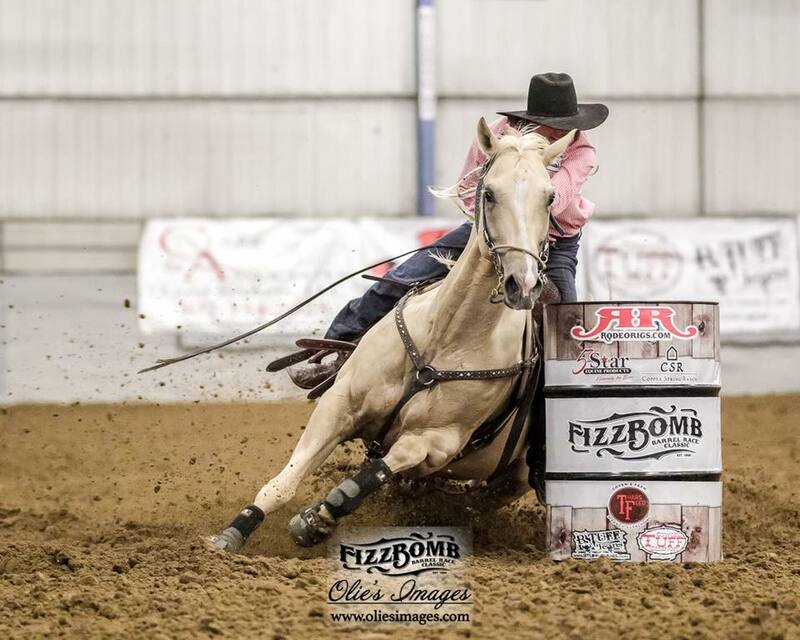 Pedone and Sleepy, whom she raised, turned in the fastest time of the Championship Round of the JB Quarter Horses Futurity, held in conjunction with the Elite Extravaganza in Waco, Texas. The victory was worth $5,973—$6,511 with the inclusion of a ninth-place 1D carryover from Main Race 2. Bred by Pedone and her father Lee, Sleepy is by Guys Easy Jet out of the Holland Ease mare Holland Lady.